Fort Greene Peace hosts a free community forum on stop-and-frisk at Lafayette Avenue Presbyterian Church at 85 South Oxford Place in Fort Greene, on Tuesday, Nov. 12 from 7 to 9 p.m. The panel will give community members an opportunity to learn more about the policy and its future. The panel includes Robert Gangi, Director, Police Reform Organizing Project (PROP); Joan Gibbs, Lead Counsel, Center for Law and Social Justice; Letitia James, NYC Public Advocate-Elect and City Council Member; Chauniqua Young, Center for Constitutional Rights attorney on the federal class action lawsuit filed against the NYC stop and frisk policy; and Kevin Powell, president and co-founder, BKNation/BKNation.org. There will be an open Q & A after the panel discussion. ●How widespread has stop and frisk been in our community? ● How has the end stop and frisk movement impacted on city policing policy? 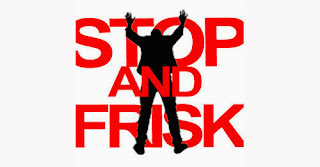 ● What is happening with the federal stop and frisk lawsuit? What's the meaning of the Oct 31, 2013, decision by the Appeals Court granting the City's request for a stay on the stop-and-frisk remedies mandated by the Federal District Court, and removing presiding judge Shira Scheindlin from the case? ● How might NYC policing policy change with a new city administration and what can we do to help make the chang?